These packs are perfect for Word Work activities in the classroom! Students read the sentence (then read the scrambled sentence for added OH NO, THAT’S NOT RIGHT! effect! ), cut out the words and unscramble and paste it down. Perfect for Kinder and First Grade and students still working on sentence structure. You can scaffold it to include more or less support for students, too. Click the picture above to view some previews. A set of class books designed to get your kiddos writing from the very first day of school. 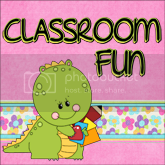 Fun prompts that can be made into the first class books you have for your classroom year. Each book comes with a colour/black and white cover, 3 different page response styles, plus Australian and US spellings to cater for everyone. These make a fun addition to any classroom library and encourage a love of writing in all students! Don’t forget to link up with The Teaching Tribune, or check out the other great 50% deals going on today! ONE I have a large (Italian) family on my Mum’s side and there are LOTS of cousins, as well as two cousins on my Dad’s side. It makes for some very entertaining/stressful(!) family occasions. I am the oldest cousin on both side – does this give some indication as to how long I’ve been looking after little kids? My youngest cousin started school the same year I started teaching and still thinks I’m cool, which is pretty nice. I have one younger sister (who is 14 months younger than me) who is currently living in Sydney. And that’s it! Don’t forget to link up today with the Teaching Tribune! 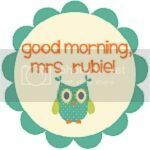 Linking up with The Teaching Tribune again for their Monday Meet Me linky! I teach a Prep/Grade 1 class and it’s a lot of work. BUT it’s also a lot of fun and it’s so nice to see children in Grade 1 given the opportunity to be mentors and role models for their younger peers. 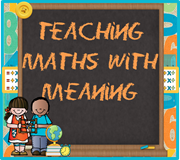 Because of the range of concepts being taught there are LOADS of opportunities for the younger students to pick on the Grade 1 concepts and for the Grade 1s who need a bit of extra consolidation to have that as well. I have a to-do list a mile long and neither the time or the inclination (sometimes!) to cross everything off all that one time. The worst being filing. (I hate filing!) I’d rather spend time making fonts and blogging and watching youtube and writing! I watch anything with explosions, car chases or comic book characters in it. (And I’m not even joking – that is pretty much my criteria for viewing!) Alternatively I’ll watch craft tutorials, unboxings or make-up videos on youtube. Because that’s how I roll! I listen to lots of different music. I prefer stuff that’s easy to listen to, as opposed to stuff that gives you a headache! I go through phases of bands and musicians, but one that’s stuck with me for years is Lifehouse (who I adore) and I’m also really loving Ellie Goulding at the moment. She has such a lovely, unusual voice! I read Matthew Reilly! (This here counts along my viewing habits, because Matthew Reilly is ALL ABOUT action!) He has fabulous books like Ice Station or Seven Ancient Wonders. If you haven’t read them, you should! I also have a ridiculous picture book obsession (hello, teacher!) and I love to read comic books. (Yes I do!) Currently in the comic book world I tend to read N52 Batgirl or Nightwing, but I’ve loved Birds of Prey, the original Nightwing series and a whole host of Batman graphic novels. I’ve also read a range of Iron Man (Invincible Iron Man! ), The Avengers and X-Men. I do blog (when I get the chance), craft (when the urge strikes me), drink tea (often) and plan (for school, for myself – I’m learning to be organised!). Ah… Term break is upon me! I’m so excited to have the next 2 weeks off. I don’t have exciting personal plans (I officially have no life to speak of), but I do have grand plans to organise my classroom, my classroom library, update my files before my PRP next term and get as much photocopying done over the holidays as possible before my school commences the photocopying audit (blargh!). But, to kick off my holidays, I’ll start with a linky party! Today I’m linking up with Katie from Teacher to the Core for her High/Low Linky Party. I’ve dedicated myself to being Isla’s (cute little thing as she is) Fairy Bookmother – because I’ve already given her 4+ books and will continue to give her books for as long as her Mum lets me (lol!). In regards to the low point – I’m always my worst enemy. Some times it just blows out of control, and that was definitely one of those months. I’m slowly digging myself out, though. Seeing my bestie and her baby certainly helped (sometimes you just need to talk to the people who know you best!). Also, my day was totally enhanced by coming home to discover that I’d won Melinda’s blog birthday giveaway! Super excited to receive the fab prizes that were up for grabs. Okie doke – I will be back tomorrow with my Five for Friday post, and hopefully a few freebies, on Good Friday. Can’t believe it’s already March 11th! Here in Melbourne we’re having a public holiday (Woohoo! I needed the sleep-in this morning!) so I’m making the most of my Monday off. I’ve missed a few bits and pieces over the weekend – my ISP decided to to ‘maintenance’ that went 2.5 days over schedule, leaving my internet-less until yesterday evening. (Insert sad face here.) But I’m back now and I’ve got a few bits and pieces to share with you! While I’ve been doing a lot of 1-10 number work with my Preps (aka Kinders! ), my lovely First Graders have been doing lots and lots of work with numbers to 100 and beyond. The last few weeks we’ve been practising skip-counting and recognising the patterns and numbers that appear. Pull cards out, read numbers, determine if it’s part of the skip-counting pattern in focus (use sorting mats to help categorise the numbers). Add in the JIVE or CLUCK cards – when a student pulls these out they must return all their cards to the container. All you need for these games is a container to store the game cards in (I found some cute little gift boxes in my local dollar store) and to print and laminate the pieces. If you need a title for your container, I just printed out the front cover at a reduced size and used tape to secure it to the container. I have at least 1 more game coming in the series (Shoes Come in Twos) – and possibly a fourth (Bees Fly in Threes) for those interested – so be on the lookout for them, hopefully by the end of the week. Each game is only $1.00 in both my TeachersPayTeachers and TeachersNotebook stores. My kiddos (the Little Smarties) are now officially obsessed with Pete the Cat and Splat the Cat. We’re re-reading the books regularly – which is fantastic. I came up with some generic, cat-inspired book response sheets for them to use when responding to the texts. 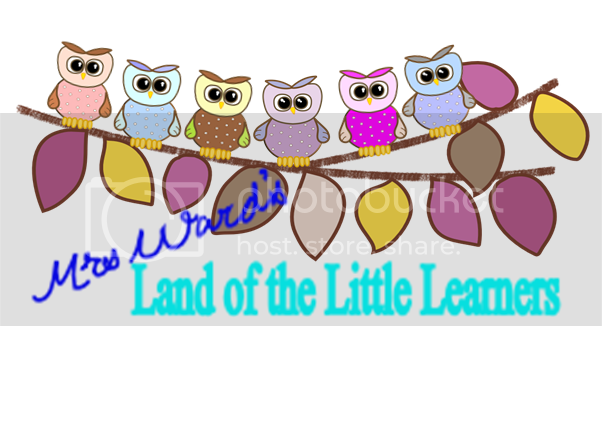 You can grab them on TpT for FREE by clicking the image below. I’d love to hear your feedback! 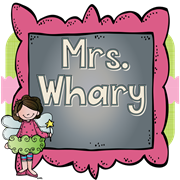 And finally, I’m joining up with Latoya Reed from Flying into First Grade for her first linky party! This week it’s all about using your initials to share things you love, so here we go! I’m a Spring baby, born in September (yes, I’m in the Southern Hemisphere, folks!). I love Spring – it’s pretty much my favourite season – the wet season and cold weather of Winter starts to fade away and beautiful cool, sunny days start appearing. I’m a sucker for anything lemon-flavoured – lemonade, lemon soda, lemon juice, lemon ice-cubes. I’m even one of those weird people who’ll eat little bits of lemon. It also smells beautiful! As for the lipstick – prior to January this year I never wore lipstick, but I bought some MAC lipsticks while in the U.S. ($15 people! They’re $35 here!) and have fallen in love! My favs are Ruby Woo, Vegas Volt and Chatterbox! And that’s all from me today, folks! I’ve survived my first day back for Term 3 (and by way of first days it was quite an interesting one for many reasons). However, what better way to celebrate returning to school than to join in a Linky Party all about picture books. Anyone who knows me knows I’m NUTS about books. I have books all over my classroom (that I’m currently trying to get under control and in enough order for my kids to use). Also, being Aussie, I’m throwing some Aussie titles into the mix and to share the love with those all over the world. 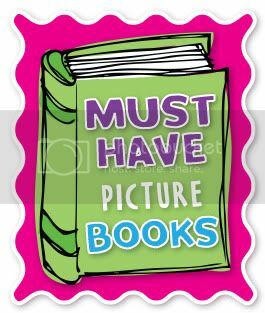 So, here are 5 of my favourite picture books. Beautiful, charming and sure to worm it’s way into the heart of every teacher. The beloved Ms Cherry learns what it’s like to be little again through the imagination of one of her students. I’ve used this every year for the last 3 years with my students. We read the book and then create a class book of all the things that my students can teach me. It’s just gorgeous. Meet Mothball, the irrepressibly charming wombat who moves into the backyard of an unassuming family and diligently details her daily life. She sleeps, she eats carrots and she fights major battles with flat hair creatures! This book has 2 follow-ups – Baby Wombat’s Week and Christmas Wombat. And, I just have to share one of my favourite pages from this book – where Mothball meets a Welcome door mat for the first time! The very funny story of 4 animals trying to find a dry place to play on a rainy day. They stumble on the Very Cranky Bear, who’s trying to hibernate. The animals try to cheer up the bear by making him over in their image. What ensues is hilarious and will have your students in stitches. This book is followed by The Very Itchy Bear (our Bear meets Flea) and The Very Hungry Bear (where Bear meets Polar Bear). It’s impossible for me to have a list of picture books without include Possum Magic. This is the quintessential Australian picture book, complete with native animals and local delicacies. Grandma Poss turns Hush invisible to keep her safe from the natural predators in their environment. When Hush wants to turn visible again they need to travel the country in search of the reversal – and it has something to do with people food! I grew up with this book and I have just as much love for it now as I did as a child. Plus, my class mascot is a small plush version of Hush (and she’s been home to visit each of my students, along with her beautiful story!). What can I say – it’s a classic that will never go out of fashion. I love all of Eric Carle’s work, but The Very Hungry Caterpillar will always hold a special place in my heart. This is another book I grew up with and I share with all my students and they love it like I do! Join in the fun and recommend your favourite books!